While Gateway's been on the laptop bandwagon of late, it's good to see the company doing its thang on the desktop front, too. Kicking things off is the bargain-priced LX6810-01, which houses 8GB of RAM, NVIDIA graphics, a built-in TV tuner and a $799.99 price tag. The even more affordable DX4200-11 gets going at just $609.99 and features an AMD quad-core CPU, ATI Radeon graphics, 6GB of RAM and a 750GB hard drive. 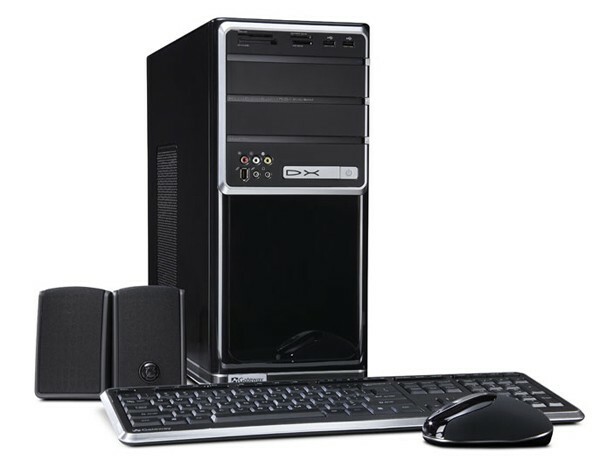 Stepping things up quite significantly is the FX6800-09, which sports a Core i7 CPU and a $1,649.99 sticker. Rounding out the bunch is the $1,299.99 FX6800-11 and the currently unpriced entry-level FX6800-01e. If any of these caught your fancy, head on past the break for a look at the full release. a digital media work horse and media center. massive 750GB hard drive and 6GB of RAM. memory and faster graphics than the popular entry-level FX6800-01e. customers even more choices for their gaming enjoyment!